On January 30, Belmont hosted a Curb College seminar featuring Adam Schlossman, manager of American folk rock band Delta Rae. Originally forming in North Carolina, the six-piece band is currently signed to Big Machine Records LLC. Schlossman met three of the four singers while attending Duke University and has known them for 12 years. Schlossman’s career, however, did not start in the music industry. 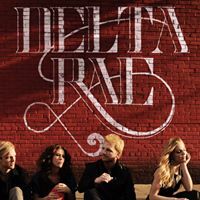 Prior to joining Delta Rae’s team after hearing them play together one night in a bar, Schlossman spent six years working as a lawyer in Washington, D.C. He told students how he had no previous experience with any aspect of the music industry and how he simply made himself valuable to the band by being committed to its music and vision. He advised students that being in artist management requires passion, kindness and intelligence and that a good manager does what he or she can to protect and promote the act in order to help take them to the next level. Schlossman said that students hoping to make it into artist management should leverage their competitive advantage of being young, energetic and driven.